Zacharia Waxler, Co-Managing partner at Roth & Co, has been an accountant and trusted advisor for over 20 years. Zacharia joined Roth & Co in 2004, managing client relationships and engagements. In 2008 he started and managed the audit and assurance department at Roth & Co, overseeing all aspects of engagements including quality control, board presentations, and serving as a chief client liaison. Zacharia currently manages all facets of the practice and its development, and frequently gives lectures and presentations throughout the community, keeping the public informed on best business practices and procedures. Zacharia is also active in his local community, frequently assisting community members with financial related matters. 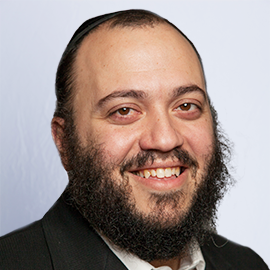 He was an honoree at the Bonei Olam Dinner in Brooklyn, New York and for 2 years he has led a team of cyclists in the Bike 4 Chai charity race, riding over 175 miles to raise money for the charity.